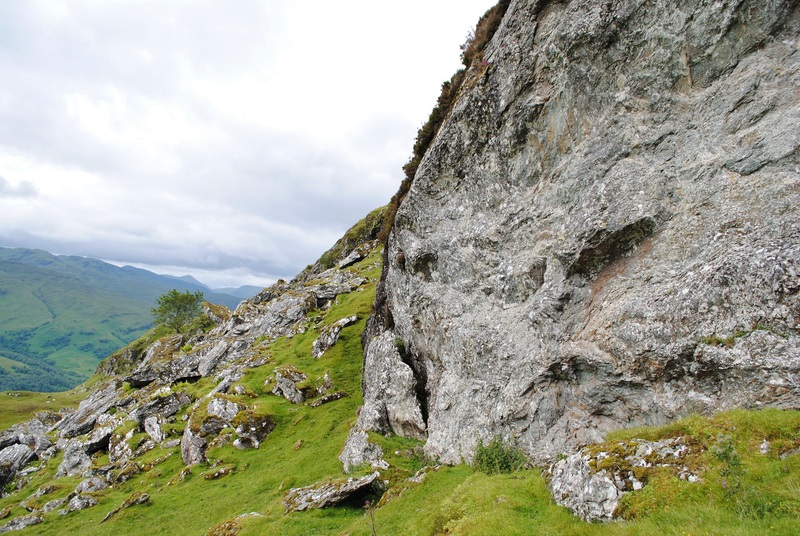 The distinctive point, Rubha na Caillich, is a weathered rock outcrop on the coast of the Kintyre peninsula. To the north, the seascape soon leads to the Corryvreckan (Cauldron of The Plaid) Whirlpool, where it has been said the Caillich washes her cloth at the end of Autumn and when cleaned becomes the white winter snow covering the land. 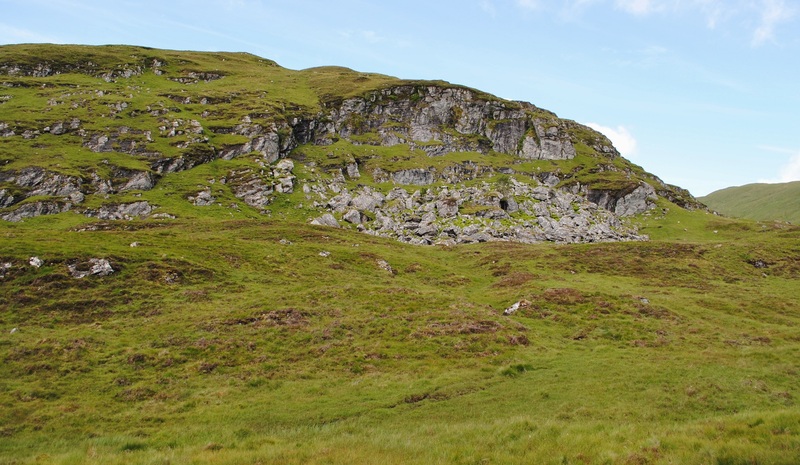 Immediately, to the south of Rubha na Caillich, is Dun Cragach, where a small community dwelt beside the Caillich figure about 2000 years ago. I am sure they would have recognised the distinctive form next to them and would in some way have incorporated her presence into their ceremonies and stories of the landscape they inhabited together. They would have also interacted with the other birds and animals of the landscape, with perhaps different perspectives from today : how they understood, otter (or diving sea birds), who brought sea urchin and crab to eat on her flanks, leaving exoskeleton amulets, would be fascinating to explore further. Travel south a further kilometer and you reach Carraig nam Bodach but that is another journey together. 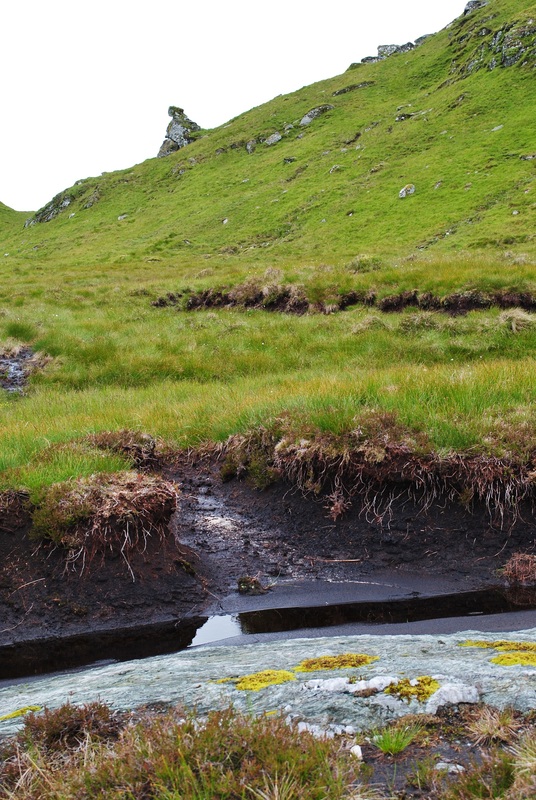 There are traces of time every where in the Lands of the Caillich. 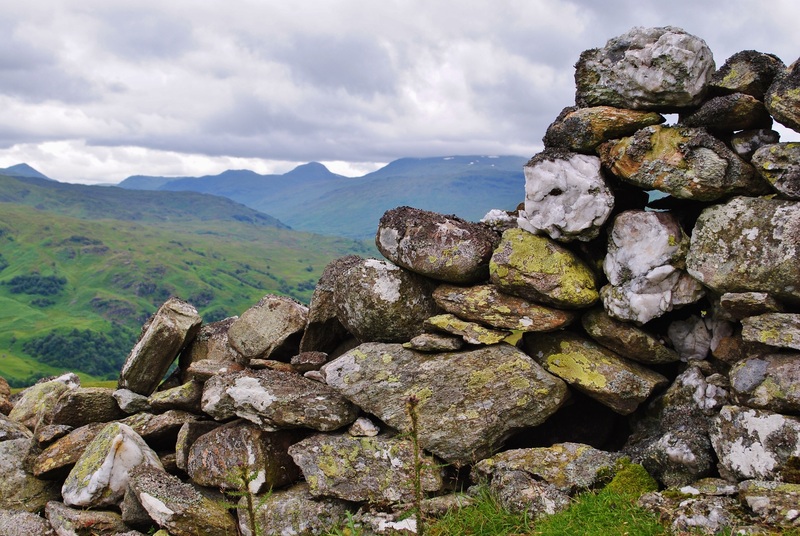 Some are obvious, such as the tumbled drystone walls which had been constructed about 200 hundred years ago as the land was enclosed and more sheep introduced. 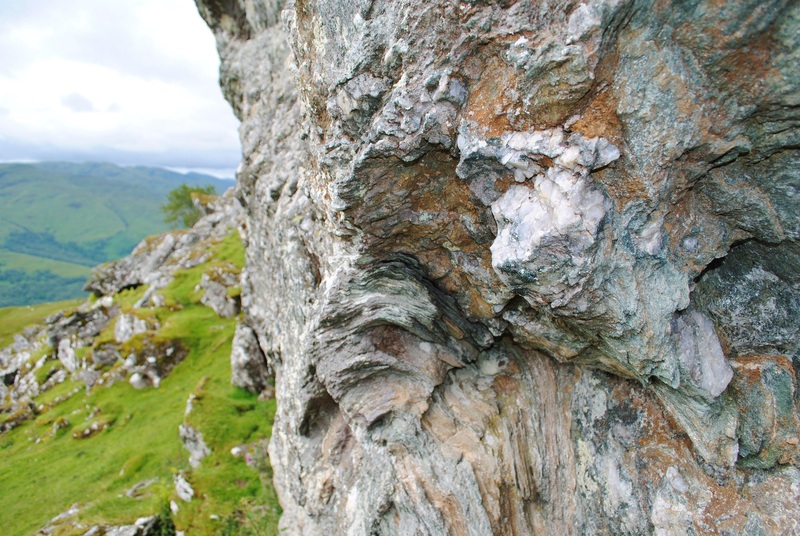 …rounded quartz rocks, rolled by glaciers, and washed for ten thousand years in burns. 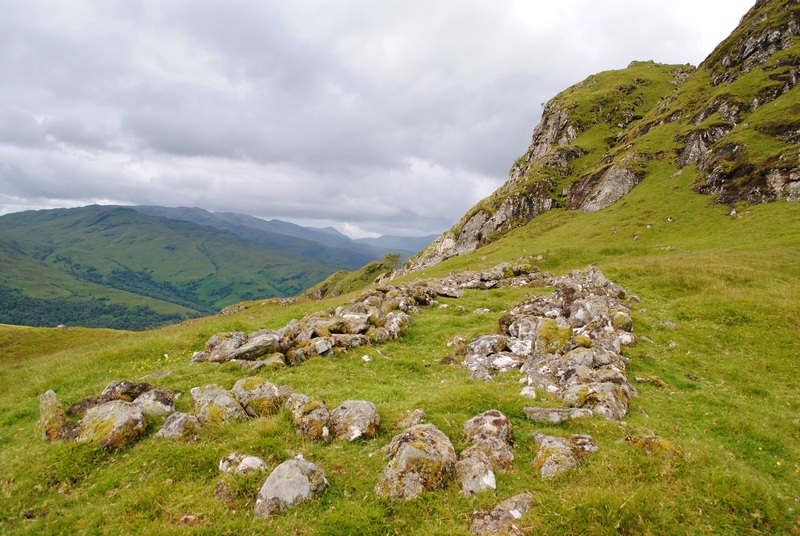 scattered boulders creating a maze of shelters, for a range of creatures. 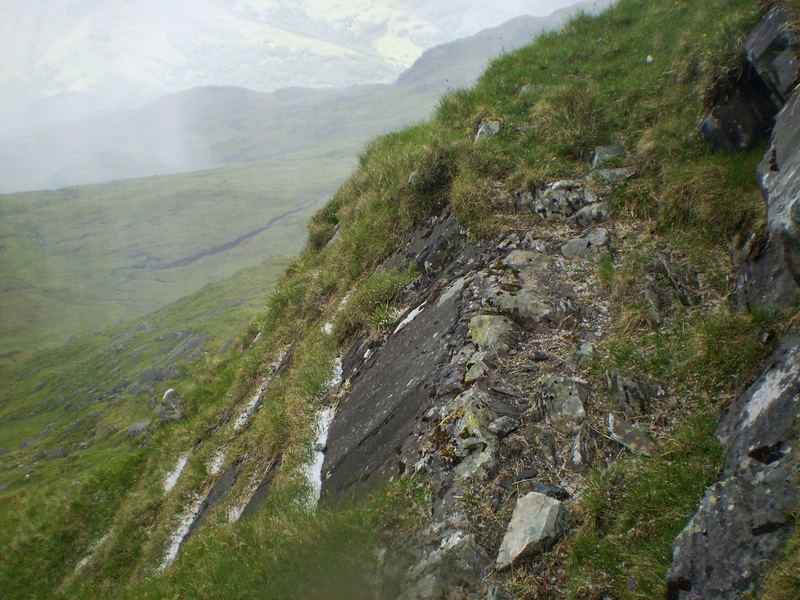 The cliff face reveals other scars. Probably a result of where quartz has been extracted. When this took place is difficult to tell. 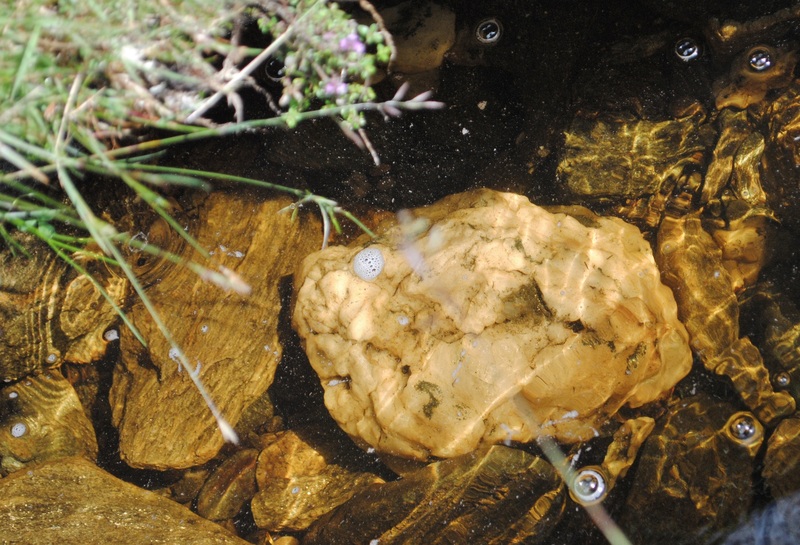 What is clear is that there has long been a fascination for special stones in the Lands of the Caillich – with examples of healing stones and talismans in folklore and history. Even today the property of Triboluminescence which quartz displays, visible in darkness, has a hypnotic, slightly unnerving effect : materials releasing other energies and powers. 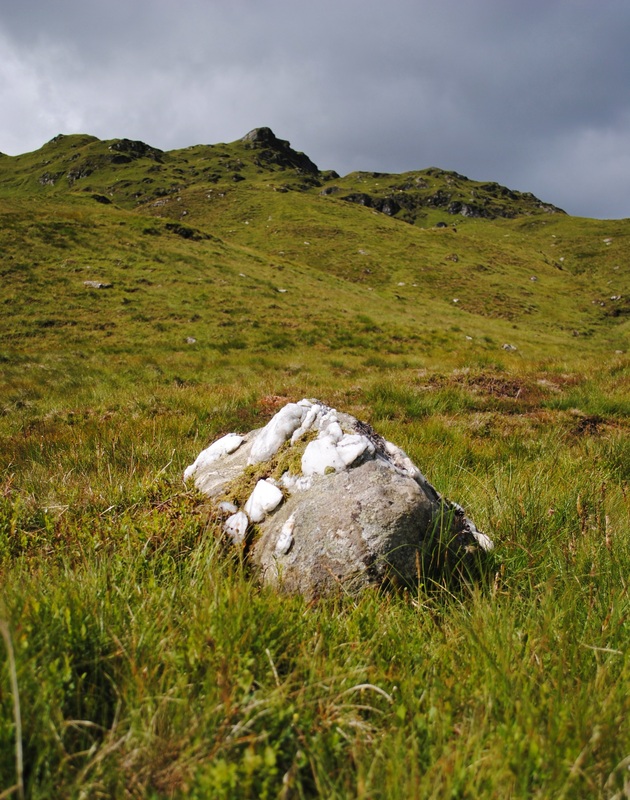 Quartz may have been extracted by the people who occupied the nearby summer shielings, tending their cattle in the uplands, over two hundred years ago. Or it could have been 5000 years before when people came to the uplands to acquire another special stone. 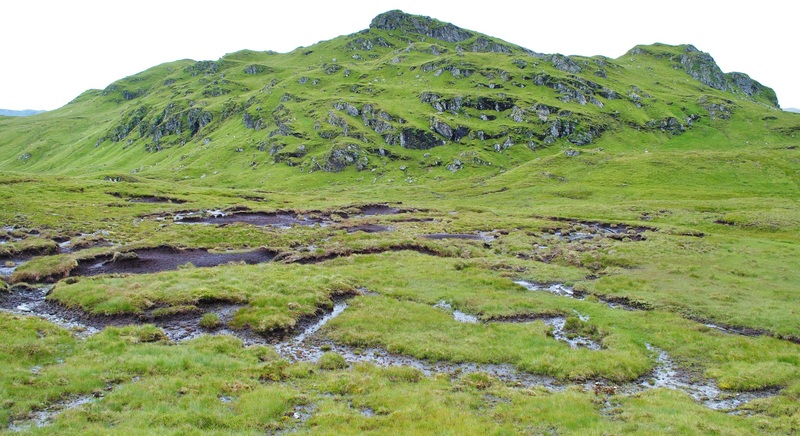 A ragged hole still visible in the mountain, visibly seeping more water than elsewhere, is the result of quarrying for rock suitable to produce polished stone axes at Creag Na Caillich. I have explored this part of Scotland many times before and occasionally at times encountered the wintery veil of the Caillich. 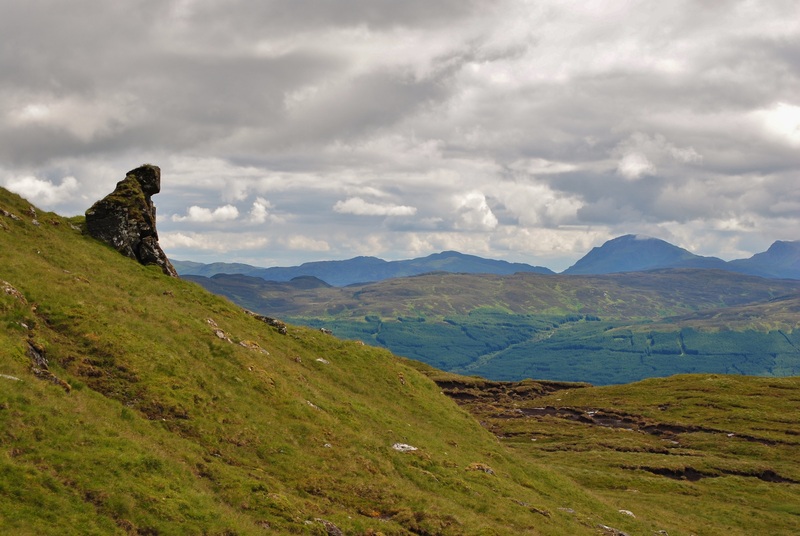 I had been to Creag Na Caillich twice before. The first time I arrived, hail immediately fell on me : perhaps no surprise in March. 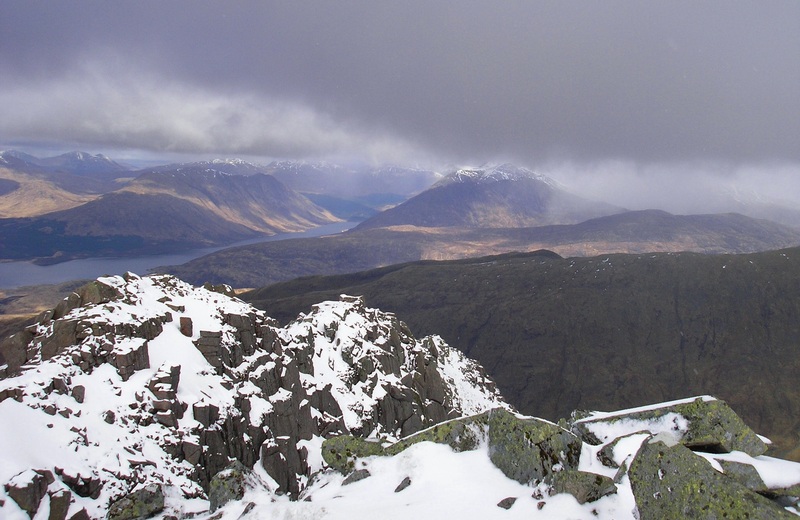 The second time going to Creag Na Callich, I never actually made it, after climbing Ben Lawers earlier in the day, I was turned back by overhanging snow in a small corrie and to be honest due to a nagging sense of not to go any further. Further west I have explored Gleann Calliche several times and encountered weather anomalies : but that is another tale. 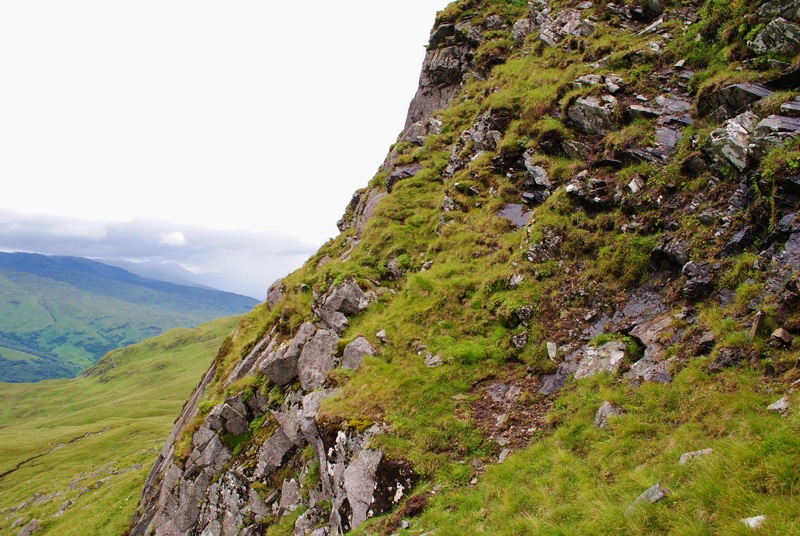 And – while I have encountered the different faces of Ben Cruachan in both Summer and Winter many times before – I only recently learned about the story of Cailleach Bheur. 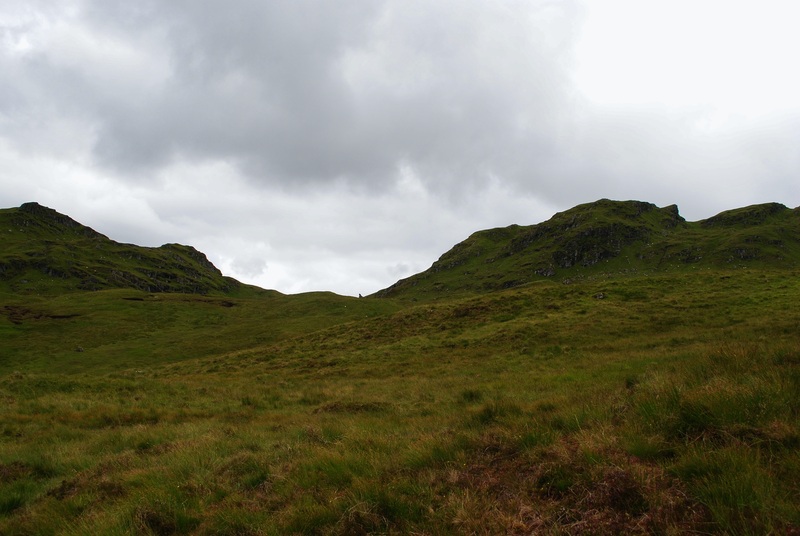 This time the weather was relatively kind to me at Creag Na Caillich, perhaps to be expected in July. 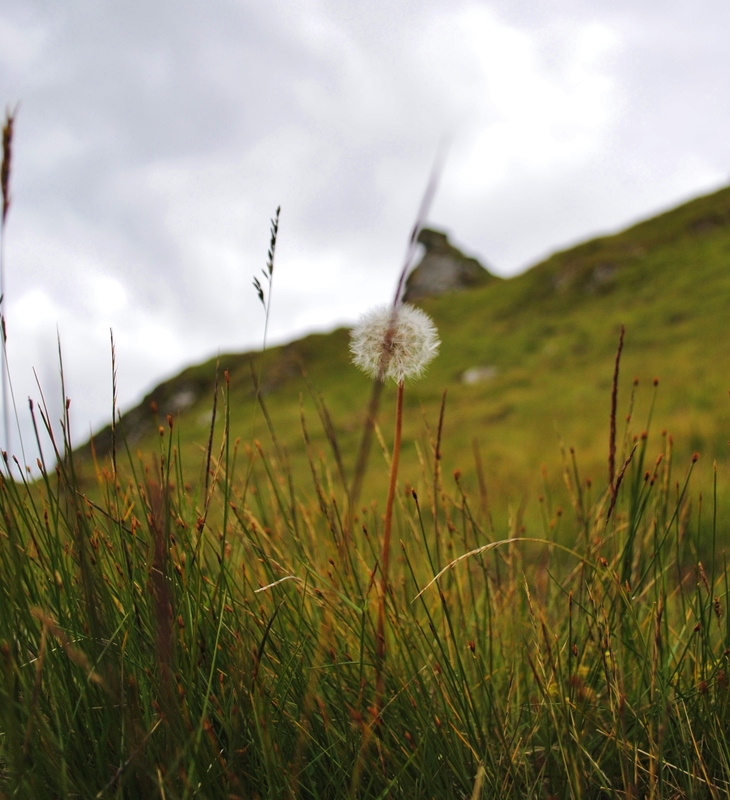 Having completed the piece I was creating I began my return journey when my eye was caught by a rock I had never spotted before on the distant horizon : the slopes of the mountain side meant it can only be seen briefly from a very limited position. 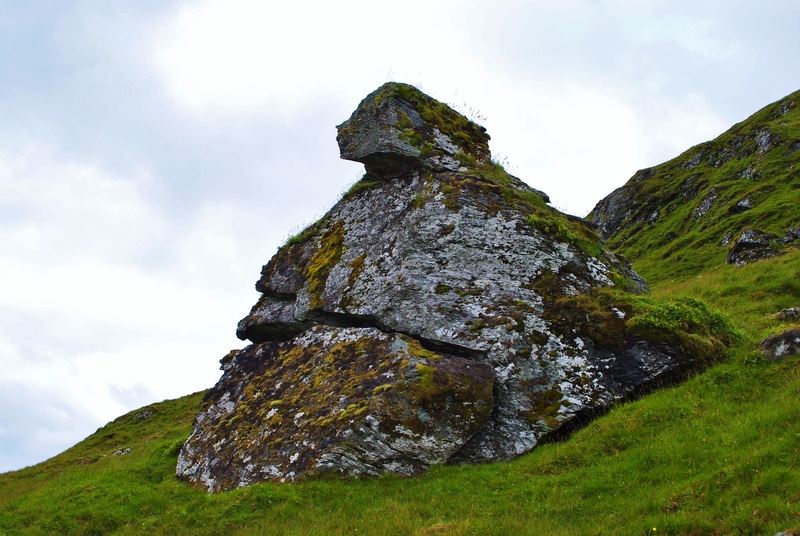 I continued to move on down slope, but something nagged at me to go upwards and explore further : perhaps, upon reflection, the rock reminded me of the trolls stones I had seen in Iceland. 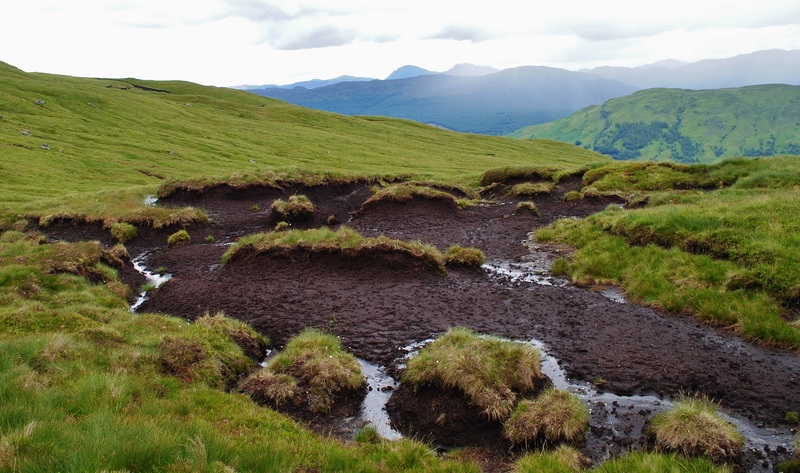 I eventually found myself crossing an area of peat hags, situated in an enclosed amphitheater like area of ground. As I approached the rock, I realised it had an almost figure like form. Perhaps it was tiredness or low blood sugar but at this point I had the strangest sensation. I suddenly felt very cold, began shivering, and walking became like swimming through treacle : a minute or so and it passed but slightly disorientated I continued. 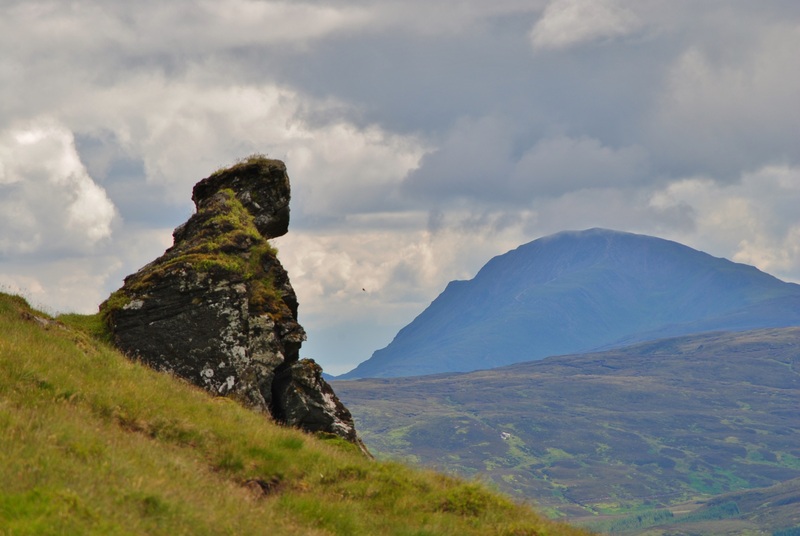 The rock, perhaps 10 m tall, has a remarkable profile and presence in the landscape. watching the Lands of the Caillich. 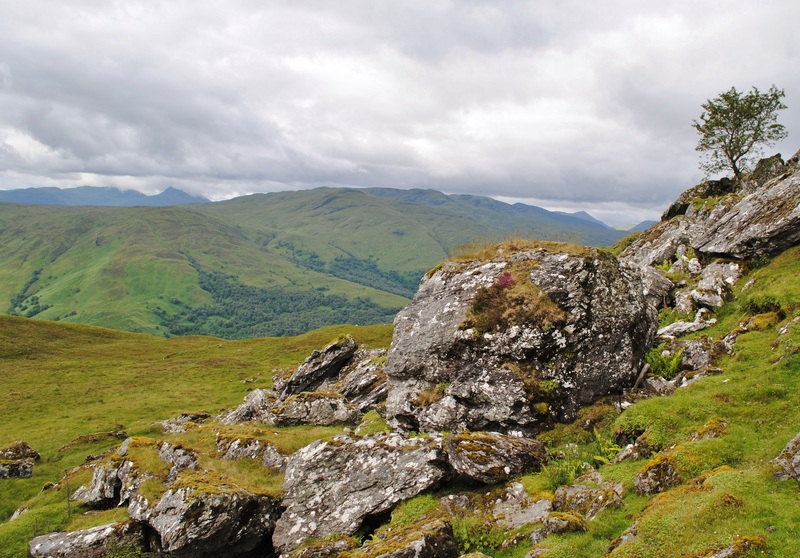 The top of Creag na Caillich is located c 900 metres to the north west from our stone figure. 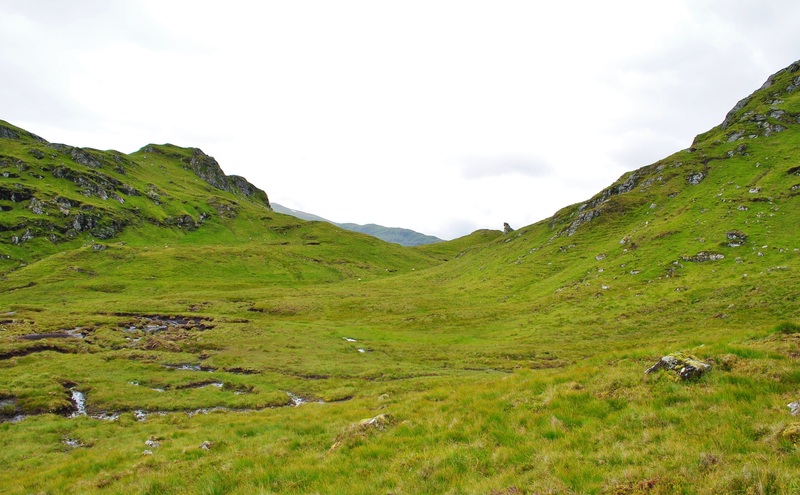 However on the Ordnance Survey Map the name Creag na Caillich is located significantly distant from the top and closer to where the figure is situated. I wonder if the association of the name Caillich at this location was in part due to the presence of the stone figure. 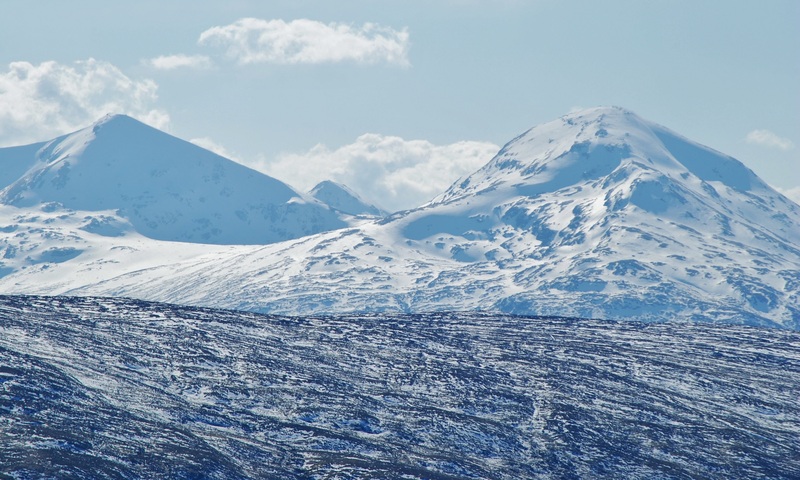 The Caillich (or Cailleach) has significant antiquity in folklore, referring to a deity, associated with winter weather, who manifests in the form of an old woman. 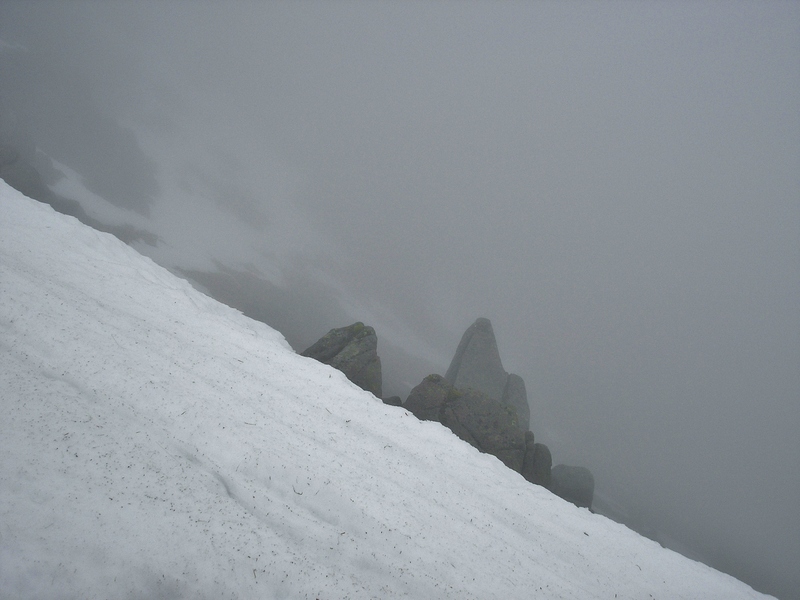 The times I have spent up the mountains have been in exceptionally varied weather conditions and different states of tiredness. 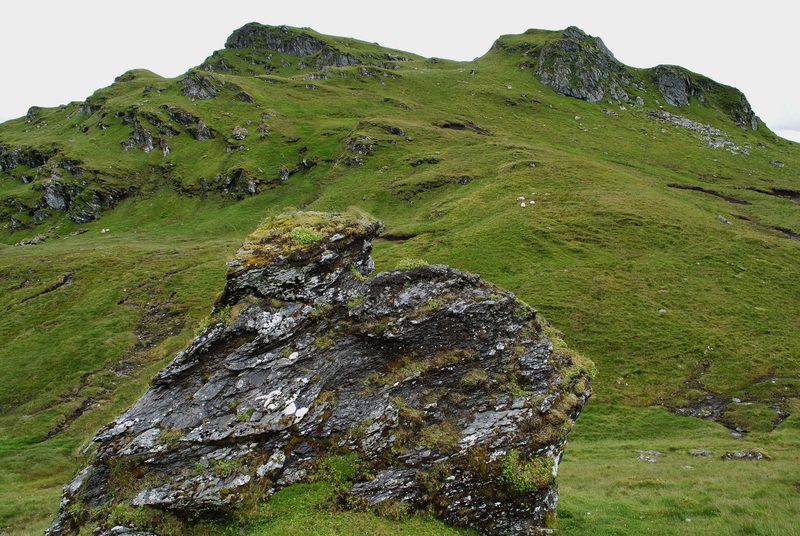 When I approached the stone figure of the Caillich, the sensation was like nothing I have experienced before and it left me somewhat unsettled for quite some time. Perhaps in remote, rarely visited places, where the elements rage with such power at different times of the year, there are residual energies which can be encountered… ?